We have spent the last two weeks immersed in Wassily Kandinsky’s art. My kindergarteners have been talking about his art, tracing over it on transparency paper, playing with it on our SMARTboard, and creating their own “Kindergarten Kandinsky”. It’s been exciting to listen in on the conversations as the kids compared different pieces and wondered why Kandinsky made the choices he did as an artist. We have had fun playing “I spy” as the students looked closely for “the big blue circle next to the small triangle behind the three parallel lines”. They have enjoyed talking about the pictures Kandinsky made with shapes and we had quite an interesting discussion about how Kandinsky couldn’t have intentionally made an “Angry Bird” in one of his paintings since it was made 100 years ago. It started a great discussion about perspective, imagination and creating stories in our minds. I loved how they connected it to making pictures in our minds as we read! 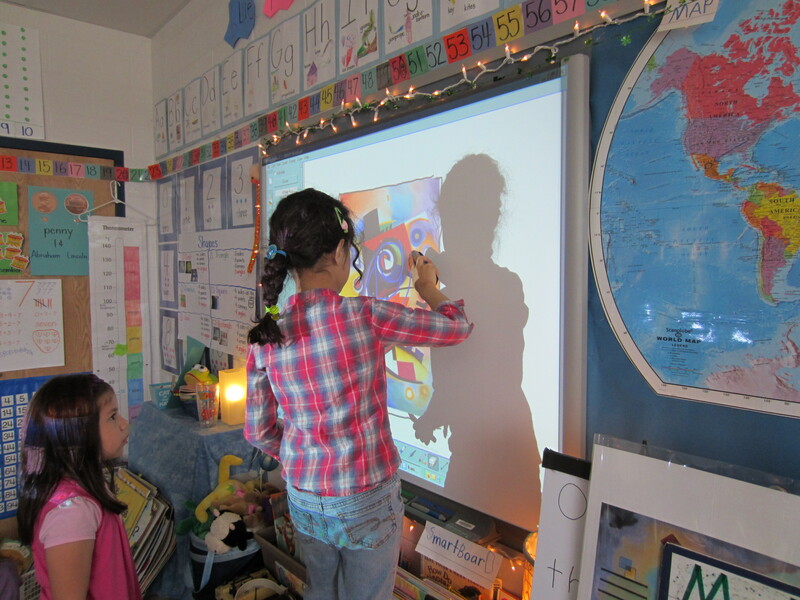 They love looking at the big art prints on paper and the Kandinsky SMARTboard station has been a top choice during Explore time. I have a feeling the Kandinsky prints will continue to be a part of our classroom explorations and conversations for quite some time. 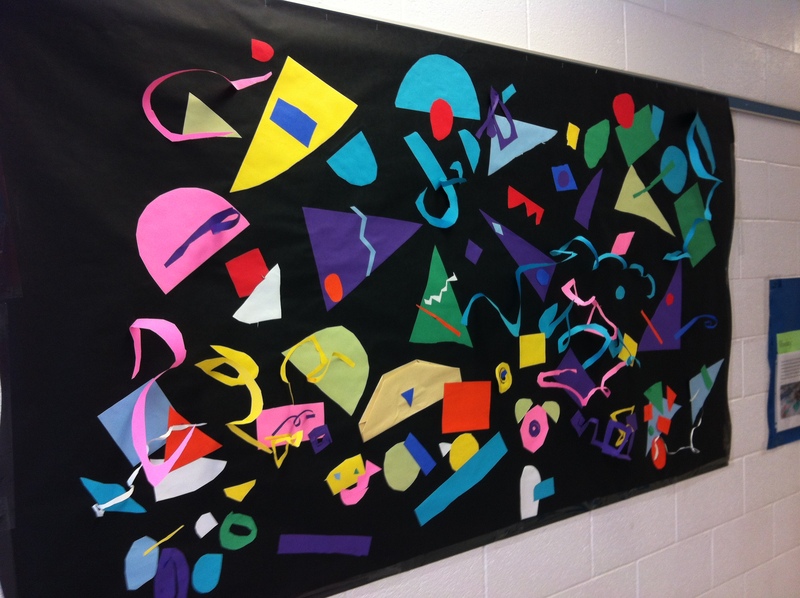 We ended our Kandinsky study by creating a class mural – our “Kindergarten Kandinsky”. 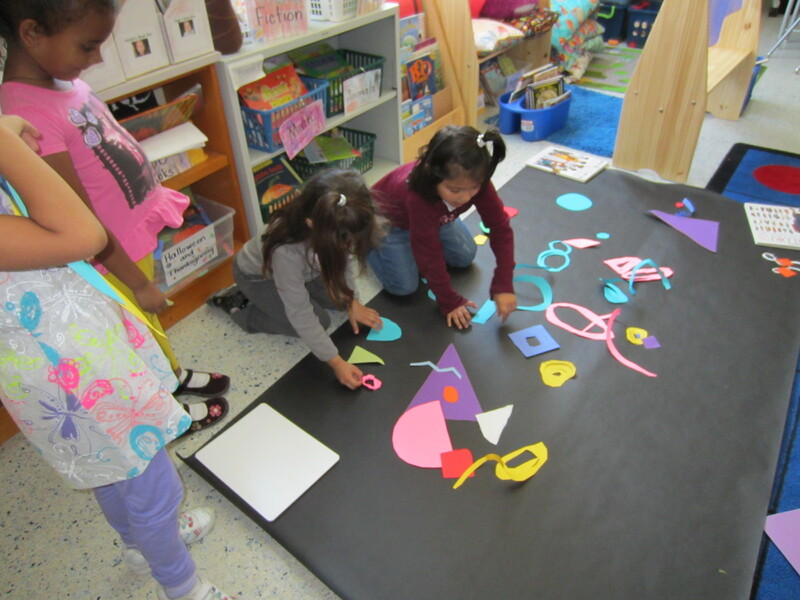 The kids cut out a variety of shapes and lines and we carefully placed them on a large piece of butcher paper. We talked about where the shapes would go, how they would overlap, what the proximity to other shapes and lines would be and negotiated our artwork together. After everything was placed as the students wanted it, we glued it down. The kids were so excited to have a giant “Kandinsky” to discuss and talk about, just as we have talked about his original artwork. 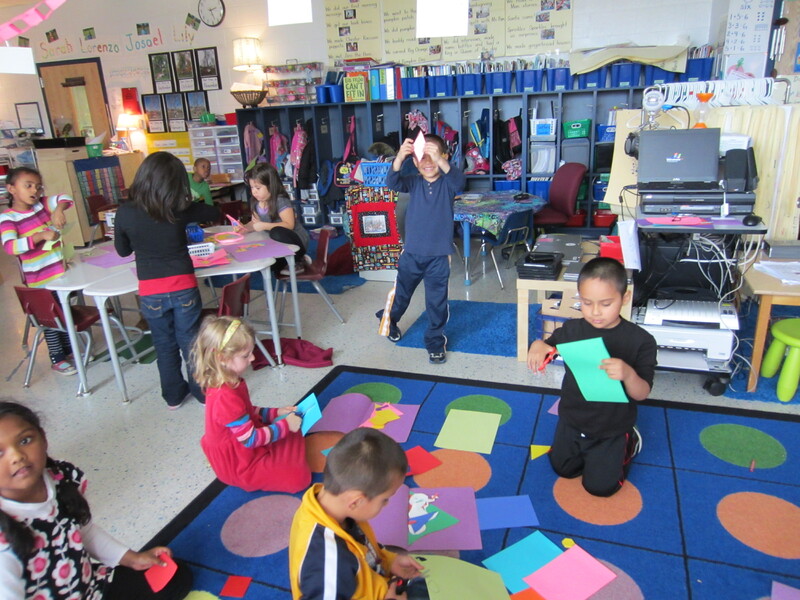 After spring break, we are starting a photography study of the alphabet through found pictures in the environment. I think the Kandinsky study has opened our eyes to reading pictures and seeing beyond the obvious. We are ready to look for letters in nature and in our environment. Stay tuned for a post in a few weeks on this new project!